The KLP Rollstop System utilizes engineering technology to provide a proven one-of-a-kind storage system for your coils. The system is manufactured from a polymeric material that not only protects your coils but also makes the Rollstop virtually indestructible. 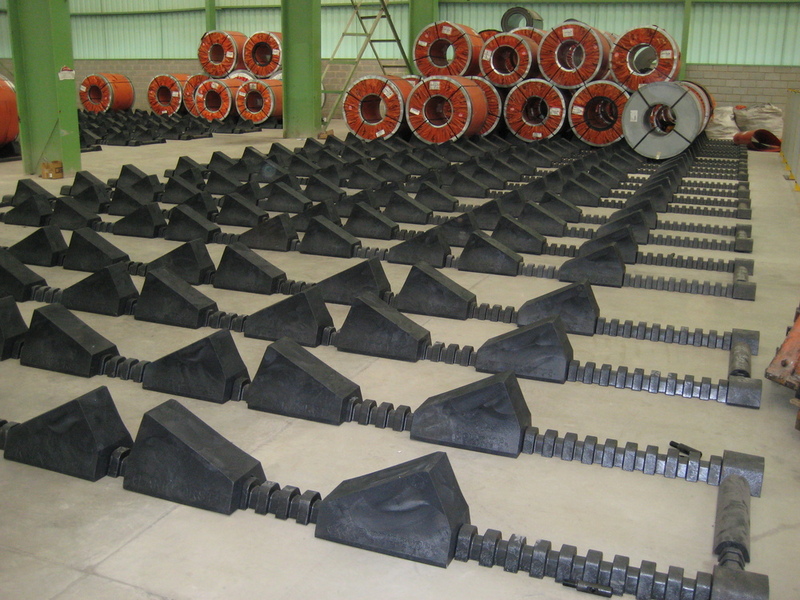 The placement of the Rollstops and width of the rails can be changed to accommodate a large range of coil diameters, widths and stacking configurations. This product is also available in a high-temp version. Most choose this product for its ease of installation and maximum flexibility.